$10 Off $200+ Site wide at Bodybuilding. Use coupon code 10OFF200 at checkout. Get $1 off your purchase at Walgreens.com. Expires on 09/22/2014. Paste this code OXYTROL1 at checkout when you are done shopping. 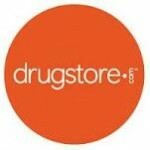 Free Shipping On $35+ at Drugstore.com. No coupon code required.